Morgan Register gained valuable research techniques and learned the ins and outs of building the foundation for any research project while in et Bahamas. 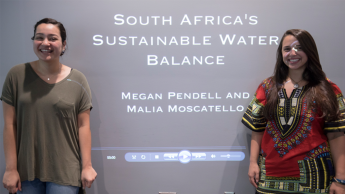 Environmental Sciences major Megan Pendell received the Grand Group Prize for her work on the “South Africa's Sustainable Water Balance” documentary showcasing her experience on the IMAGINE South Africa study abroad program. 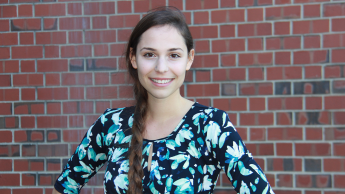 Recent Parks, Recreation and Tourism Management alumna Miranda Esperanza Day turns her internship into a full-time job post-graduation. 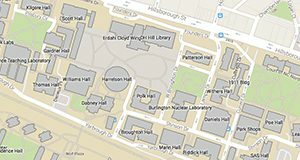 Environmental Technology and Management major Corey Aydlett brings together his passion for service and the environment after transferring out of the College of Engineering. 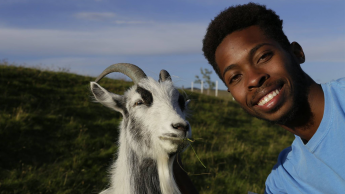 Through leadership and a study abroad trip to Iceland, Aydlett's finally found his calling. 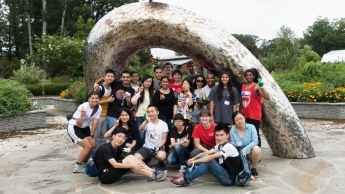 Fisheries, Wildlife and Conservation Biology major Hannah Shapiro discusses her experience participating in the Global Leadership Institute for student leaders from different countries. 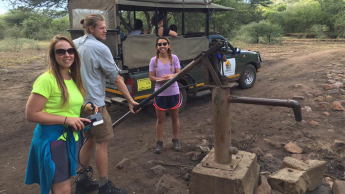 Enrichment Fund recipient Julia Jacobs, a natural resources policy and administration major, solidified her aspiration to become a conservation scientist while studying abroad this summer in Namibia. 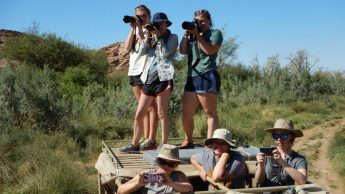 Students do more than just imagine "Water Woes, People, Parks, and Pollution" they experience them first-hand on this study abroad trip.